It's difficult to compete with the message of Joel Osteen. 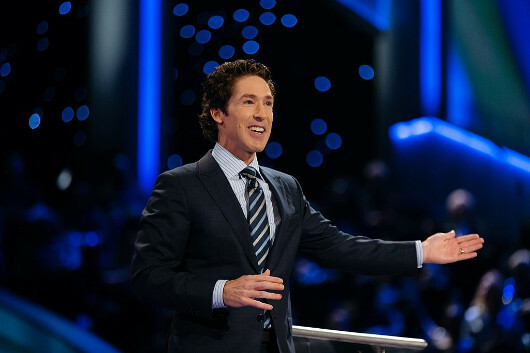 First and foremost, he is on TV bright and early on Sunday morning, connecting a message of prosperity with the Bible. Believe the Bible and you will find a road to prosperity. That seems American enough! Of course, he's not the first to make this message known. There has always been a prosperity stream within Pentecostalism, one that is linked to the promise that Jesus is healer. Good things flow to those who claim Jesus' blessings. That message percolated down and took on a more distinctive style with people like E.W. Kenyon (one of my friends wrote his PhD dissertation on Kenyon), Kenneth Hagin, Kenneth Copeland, etc. There is another line of similar thinking that isn't Pentecostal, but Reformed, as seen in Norman Vincent Peale and Robert Schuller. Martin Marty takes notice of these movements in this week's edition of Sightings in large part due to attention given to the movement by the Vatican. Yes, Pope Francis isn't keen on prosperity teaching. I invite you to read, respond, and think through some of this. Is Prosperity teaching anti-gospel? Pastor Rick Henderson’s name may not be familiar to many readers, but he recently preached a sermon and wrote a report which he hopes will reach publics new to his chosen theme. In a recent blast mediated through The Huffington Post, he gets our attention by announcing that after twenty years of preaching, he broke precedent and “called out false teachers and named them by name.” The two he singled out were Joel Osteen and Joyce Meyer. Their names supplant those of predecessors from previous generations who, by now, have faded. First there was Norman Vincent Peale with his “positive thinking” and, decades more recently, Robert Schuller, whose famed Chrystal Cathedral has been replaced by a Catholic edifice as his “possibility thinking” became difficult to sell any longer. Sightings is paying attention to these waning bestselling princes of the pulpit and prophets of the airwaves by noticing what most now call the “Prosperity Gospel.” It is easy to let it pass unnoticed unless you belong to, or are alert to, what gets sold as the Christian Gospel, or something congruent with it, on cable TV, at many mega-churches, and through specialized but nonetheless popular books. We would no doubt continue to let it pass by had La Civiltà Cattolica not recently featured and condemned this Gospelas “Dangerous and Different.” That paper legitimately advertises itself as “Reflecting the Mind of the Vatican Since 1850,” and it is in place to say that it shines with the light of the Vatican. 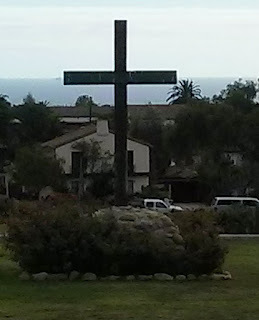 In the July 18 issue, Antonio Spadaro, SJ, and Marcelo Figueroa credibly claim that they are transmitting the ideas of Pope Francis, who has often warned against the threat of this theology that can “overshadow the Gospel of Christ.” It is a type of Christianity that “places the well-being of the believer at the center of prayer, and turns God the Creator into someone who makes the thoughts and desires of believers come true.” The authors relate this to “the so-called ‘American Dream,’” but then go on to show how this Prosperity Gospel has also prospered in Africa, Asia (especially China), and Latin America (Central and South). The Vatican writers trace much of this to a New York pastor, Esek William Kenyon (d. 1948), but there are many sources. In recent years, Kenneth Hagin (d. 2003) was the main inspirer, who took the word of Jesus in Mark 11:23-24—look it up!—and, with Kenyon, utilized mass media to score. More names? Oral Roberts, Pat Robertson, Benny Hinn, Robert Tilton, et cetera. With or without Pentecostal roots and ties, they have swept the field. The conclusion in our political world? “[T]he United States has grown as a nation under the blessing of the providential God of the Evangelical movement.” Careful: some of our best friends are evangelicals, and we note that many of them offer the best critiques of this “Gospel.” Not a few evangelicals and post-evangelicals are the most profound analysts of the Prosperity Gospel, and they seek to counter it. Spadaro and Figueroa quote Pope Francis, who scourges the Prosperity Gospelers, but who also discriminates and encourages those, Americans and others, who see salvation as “a gift, the same gift that Jesus had received to give.” They conclude by arguing that the Prosperity Gospel is “a far cry from the positive and enlightening prophecy of the American Dream that has inspired many … far from the ‘missionary dream’ of the American pioneers, and further still from the message of preachers like Martin Luther King.” Consider such words a blessing from the Vatican.